Featuring High Dynamic Range on a Super AMOLED display, the Galaxy Tab S3 delivers cinematic vividness, detail and deep contrast to a screen that fits in your hands. So it's a great device for watching movies on the go. If you have some movies on DVD discs and want to put them on the tablet for amusement on the go, you're in the right place. Here we will show you how to easily and quickly rip and convert DVD to Samsung Galaxy Tab S3 9.7 for playback. To get the job done, a DVD ripping tool is necessary since the Galaxy Tab S3 9.7 doesn't have a built-in DVD-ROM or DVD player to play DVD discs. There are many programs out there allow you to convert DVD to Galaxy Tab S3 9.7 supported formats. Here EaseFab DVD Ripper is highly recommended. It can professionally rip DVD to Galaxy Tab S3 9.7 compatible video format with fast speed and excellent output quality. n addition, this DVD ripping tool can also convert DVD to various popular video formats like AVI, MP4, WMV, MPEG, MOV, FLV, MKV, 3GP, etc. as well as rip DVD to optimized video for playback on iPad, iPod, iPhone, Zune, Creative Zen, Archos, iRiver, Blackberry, Xbox One and more. If you're a Mac user, simply turn to EaseFab DVD Ripper for Mac, which has the same function as the Windows version. Now download the right version and follow the tips below to finish your task. This quick start guide takes DVD Converter Windows version (Including Windows 10) screenshots as an example. The method to convert DVD movies to the Galaxy Tablet is the same. All that you should take care is to download the right version according to your situation. Insert your DVD into your DVD-Rom. Then click the Load DVD button to import the DVD movies to the best DVD to Galaxy Tab ripper. You can also load DVD folder, DVD ISO/IFO files into the program. Next, select a proper output video format. 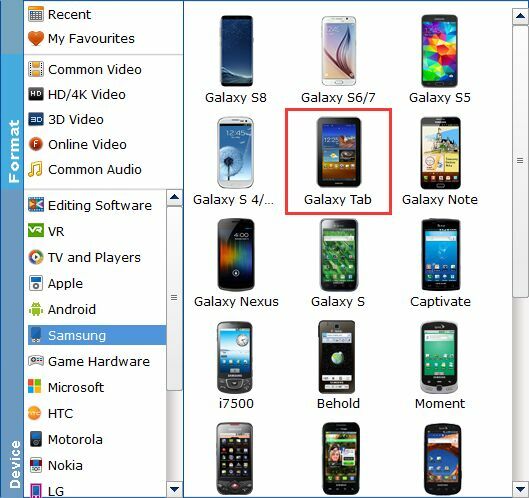 this DVD converter provides the optimized preset for Galaxy Tab S3 9.7 so you don't need to be bothered by what format to set as the output file format. 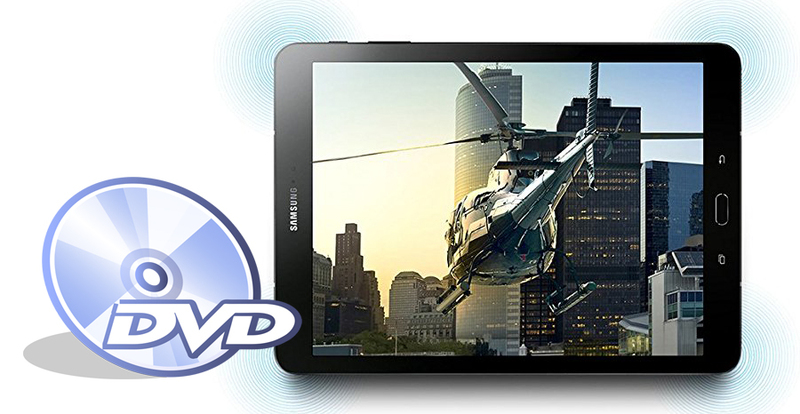 By choosing Galaxy Tab, you'll convert your DVD movies to videos with optimized settings to fit the Galaxy tablet. After all necessary settings, simply click the big Convert button to start converting the added DVD files to Galaxy Tab S3 9.7 compatible videos. Wait for the conversion to complete and click Open button to get the converted videos instantly. After that, transfer them to your Galaxy Tab S3 9.7 tablet and watch them anywhere you go. Just enjoy your movies!